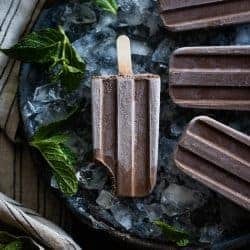 Soaked cashews blended with coconut milk, cocoa, and fresh mint syrup make fudgesicle-like creamy vegan chocolate mint popsicles that taste like sticking your nose in a bunch of freshly picked mint leaves. IT’S DONE. I completed the last step of my cookbook yesterday: I packaged up the final round of proofs and shipped them straight to China, where they’ll be printed into thousands of books. It’s been a wild ride! Since I handed in my manuscript last fall, friends and family ask, “So, is your book finished?” To which my response has been a weary smile. After 8 months of round-the-clock recipe testing, shooting, editing, coordinating testers, and eating allthesweets, there was STILL so much to do: photos to shoot, edits to make, prints to proof, a jacket to finalize, headshots to take, and pages to be pored over letter by letter to make sure everything was just right. It seemed like it would never end. Am I ready for 271 pages of photos, words, and recipes to be printed in permanent ink and spread all over the globe? 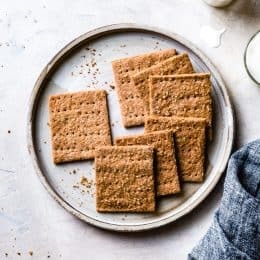 On the one hand, I’m SO excited to share 100+ brand-new recipes and photos, as well as all the fun facts I learned about alternative grains and flours with the world. 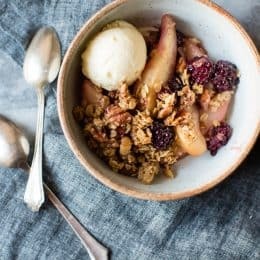 There are meltingly tender scones, chewy gooey cookies, fluffy biscuits, peak-of-season fruit pies, nubby tart crusts with outrageously yummy fillings, hearty breakfast fare, and spoonable custards. There’s vibrant fruit, sumptuous flours, tasty spirits, tons of chocolate, and all the butter. 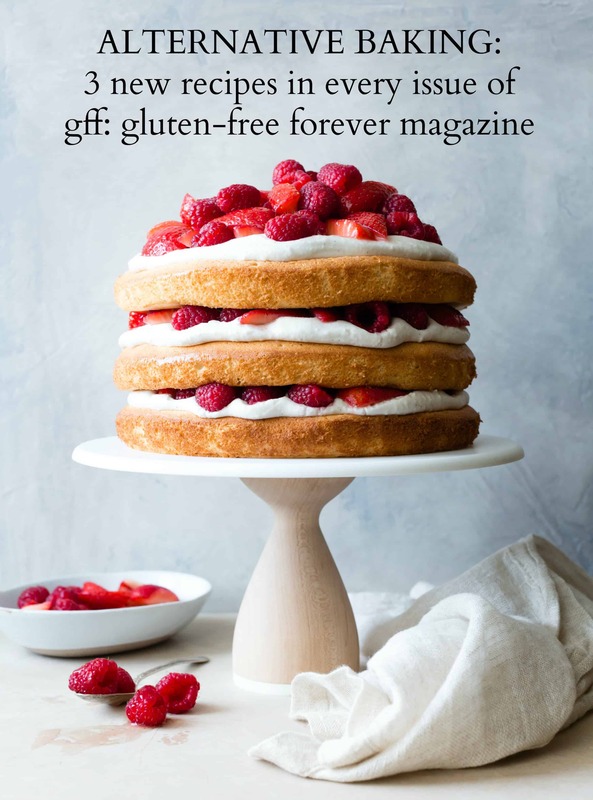 The gluten-free recipes will please even the staunchest of anti-anti-gluteners, and some will even make vegans happy. 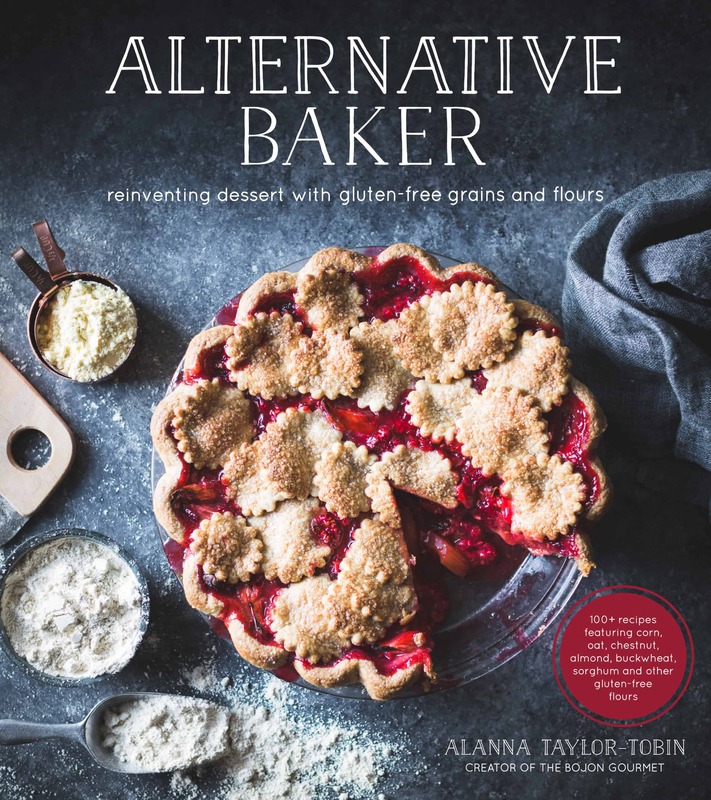 And there’s plenty of nerding out on alternative grains and flours to help you impress/weird out your friends. I’m so excited I can hardly stand it. 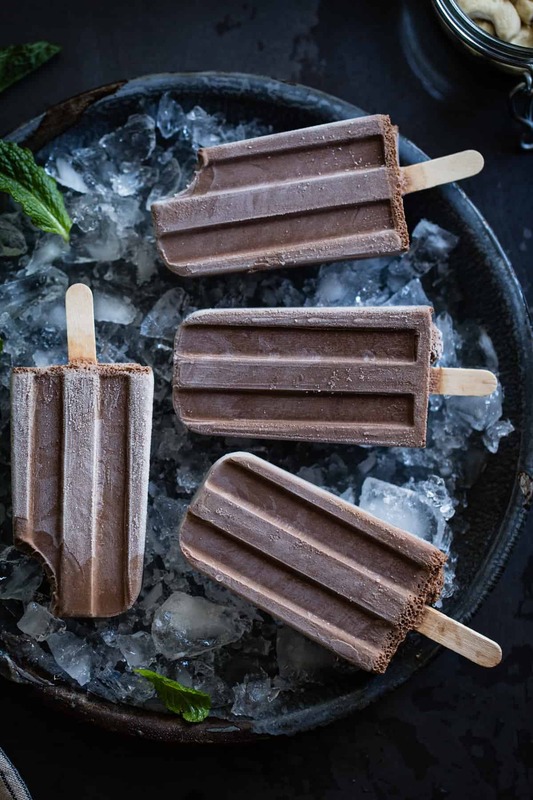 Speaking of cold hands, let’s talk about these creamy vegan chocolate mint popsicles! 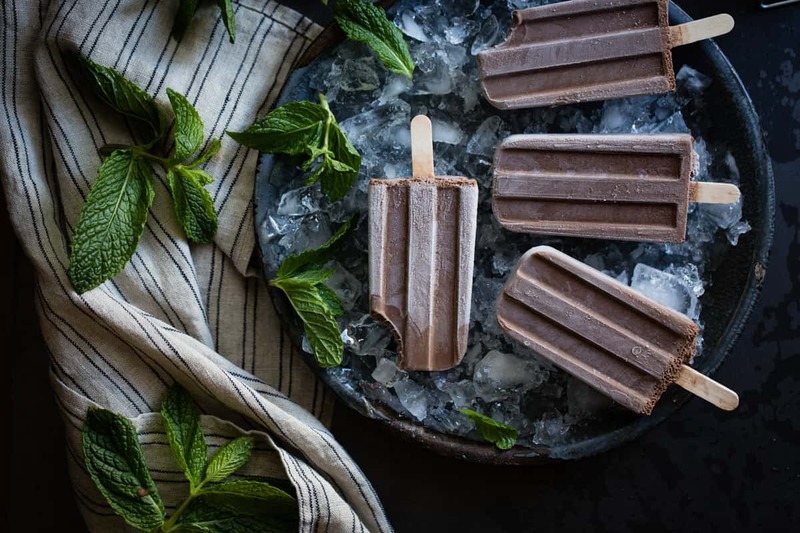 These ice pops were inspired by a vegan chocolate mint ice cream that Emma and I shared at Gather a couple of weeks ago. The meal included salad, pizza, the inspiration for this insanely delicious recipe from Sarah, glasses of cold rosé, and (of course!) dessert. We got one tiny scoop of ice cream in a ramekin. Though small in quantity, the flavors were anything but. Fresh mint hit like a leafy boxing glove to the jaw smoothed by mellow chocolate and something nutty lurking in the background. The dessert was a bit more icy than expected, but this just made it all the more refreshing, welcome after a rich meal and long day in the kitchen. I began thinking of how I would recreate the recipe, because one tiny scoop was not enough at all. The extra-easy answer lay in my popsicle mold. 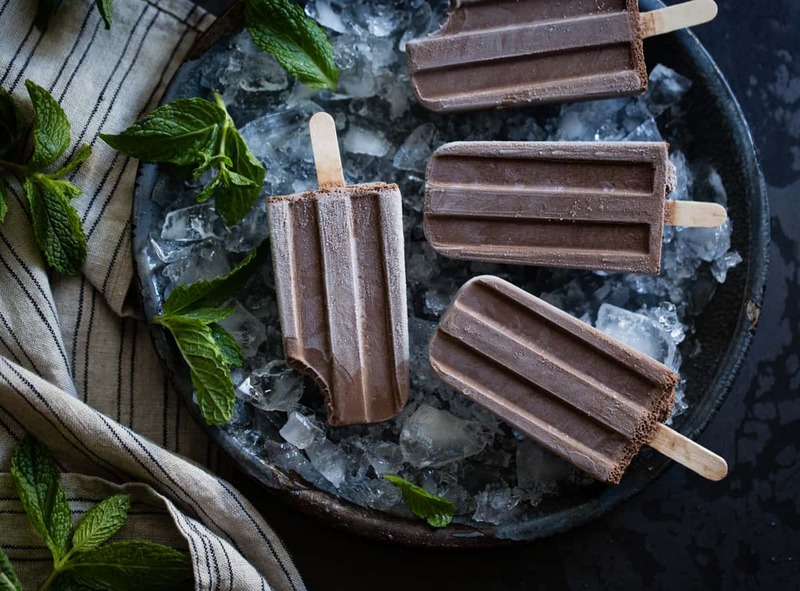 These creamy vegan chocolate mint popsicles are a snap to prepare and even easier to eat. 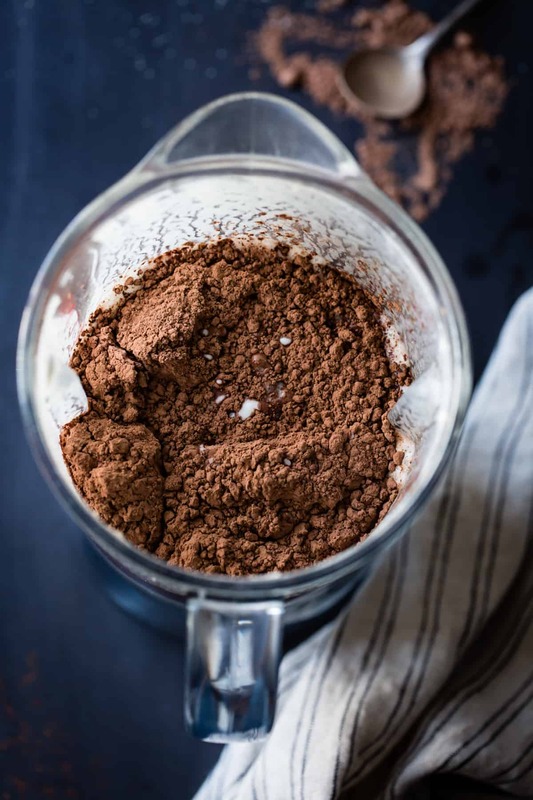 Cashews get a quick soak in boiling water and puree into a smooth base along with fresh mint syrup, coconut milk, and plenty of good cocoa powder. A drop of peppermint extract sharpens the flavor. The pops are just sweet enough, with enough iciness to refresh, and enough creamy richness to feel like a treat. These fresh vegan fudgesicles manage to taste decadent and refreshing at the same time thanks to loads of fresh mint, soaked cashews, coconut milk, and cocoa powder. 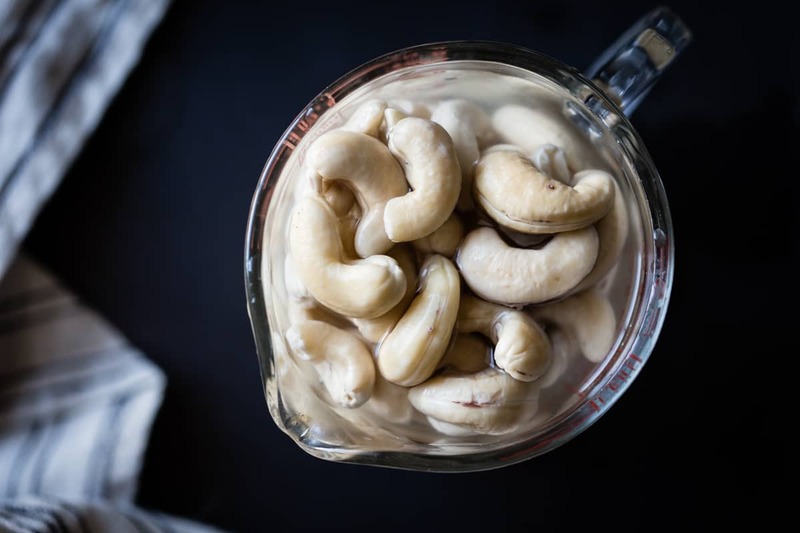 Place the cashews in a heatproof bowl, cover with an inch or two of boiling water, and soak 1 hour. Meanwhile, combine the sugar and 1 cup water in a small saucepan and bring to a boil, swirling to dissolve the sugar. 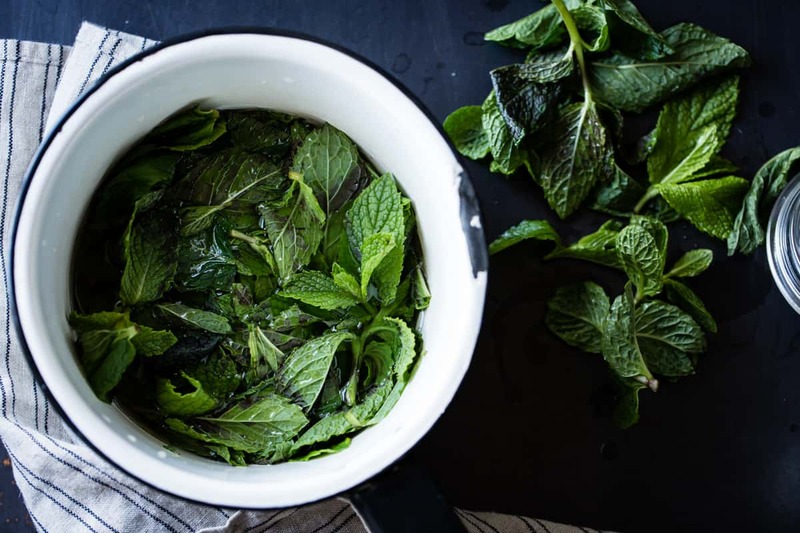 Add the mint leaves, remove the pot from the heat, cover and steep 5 minutes. Strain the syrup, reserving the liquid, pressing the leaves to extract all the good stuff, and discarding the leaves. 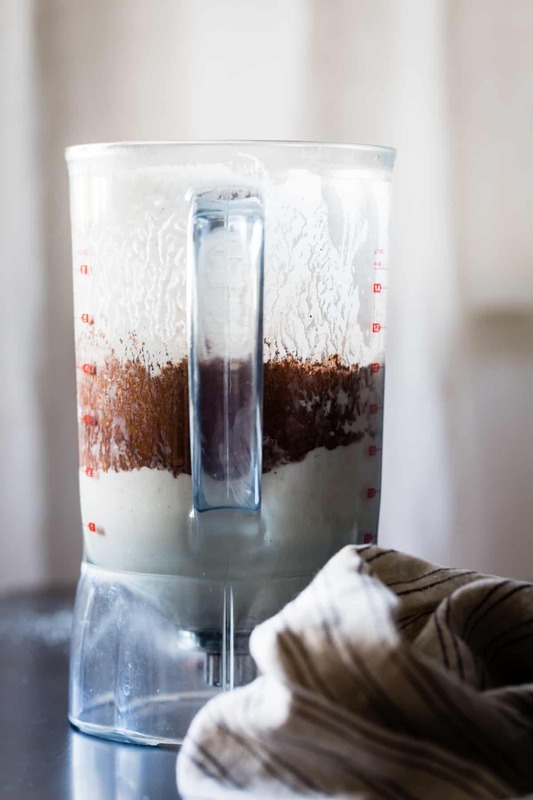 Drain the soaked cashews and place in a blender with a splash of the syrup. 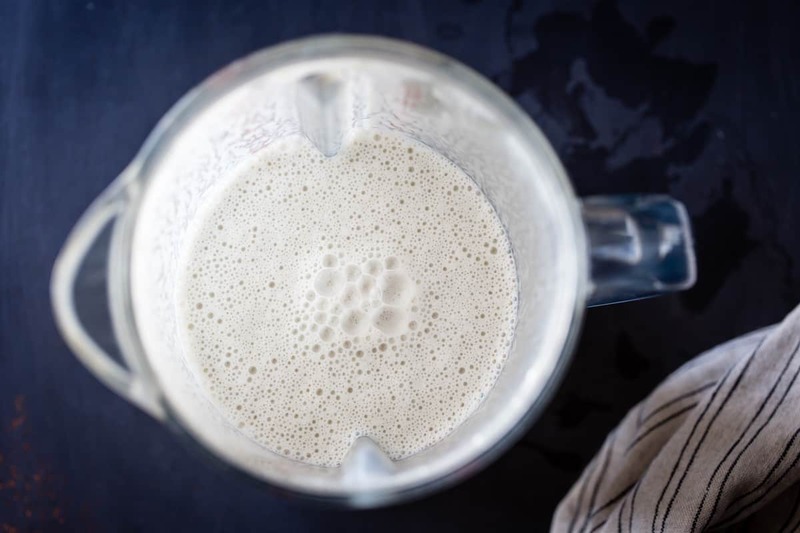 Blend the cashews until silky smooth, gradually adding enough syrup to turn the mixture and scraping down the sides of the blender occasionally, increasing the speed to high, 3-5 minutes. 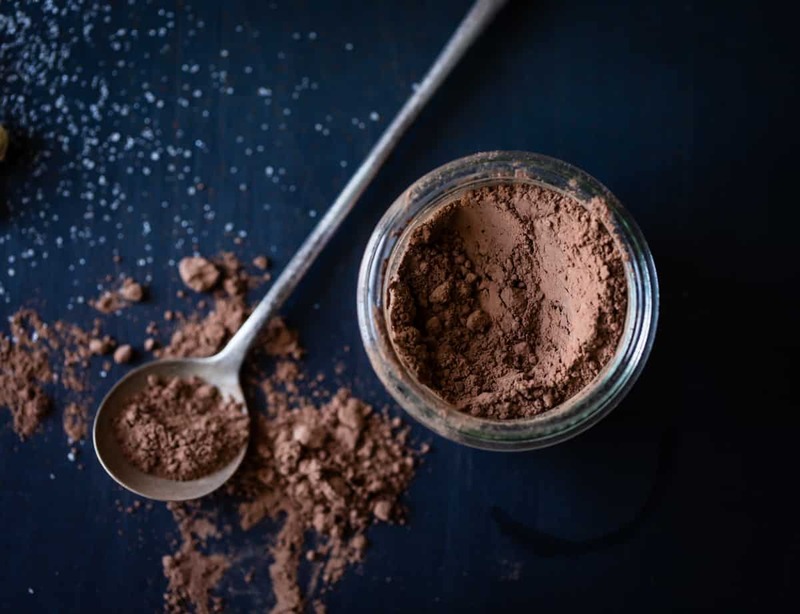 Add the cocoa powder, salt, peppermint extract (if using), and coconut milk, and any remaining syrup, and blend until smooth. 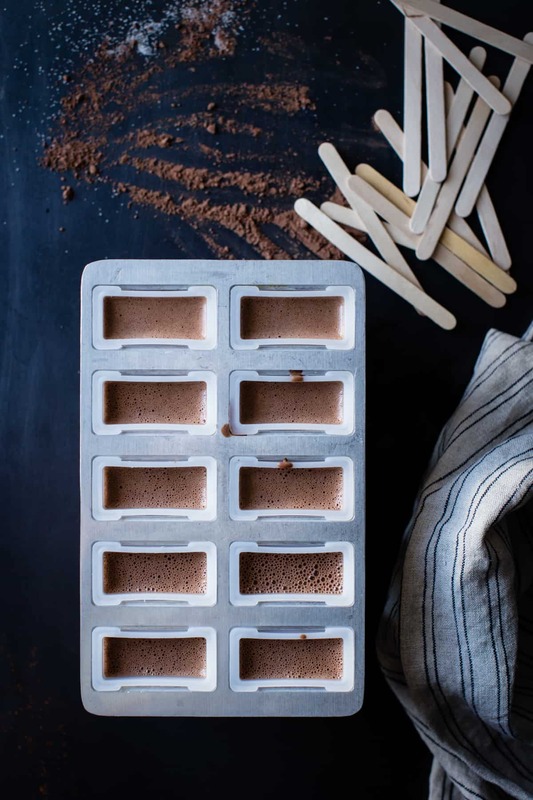 Divide the mixture among your popsicle molds, leaving 1/4 - 1/2 inch at the top, and place the popsicle sticks in the molds. Freeze and unmold according to the popsicle maker instructions. The popsicles will keep airtight in the freezer for at least several weeks. I have a million thoughts running through my mind at this very second about all you’ve written here, but all I can manage to get out right now is: THESE POPSICLES. And all those other popsicles you link to at the post’s end! Your flavor profiles are plucked straight from my dreams. Cannot wait to make these this summer. That said, holy f*ck am I excited that you are really, truly DONE. I’m in that bardo state where it all seems never done, and I’m just thrilled beyond that you’ve broken through to the other side. I know your book is going to be beyond exquisite. Cannot wait to make every damn thing. MAZEL TOV!!! So, so happy for you. You must feel completely drained but also accomplished – as you should. It’s been a lot of work, but it WILL be worth it when you’re holding that creation in your hands, poring over the pages of photographs, and knowing you made it happen. And these popsicles!!!! I can’t even. You’re so sweet, Lili – thank you! These are exactly what I want right now! Can’t wait to make a batch. And such beautiful photos. Can’t wait for the cookbook. Thank you so much, Sasha! You totally get it. Thanks, Sarah! Fingers crossed. Congrats congrats congrats!!! You deserve a good break! Cannot wait for your book. Congrats! This must be so exciting/scary! Also, these popsicles look so good!! 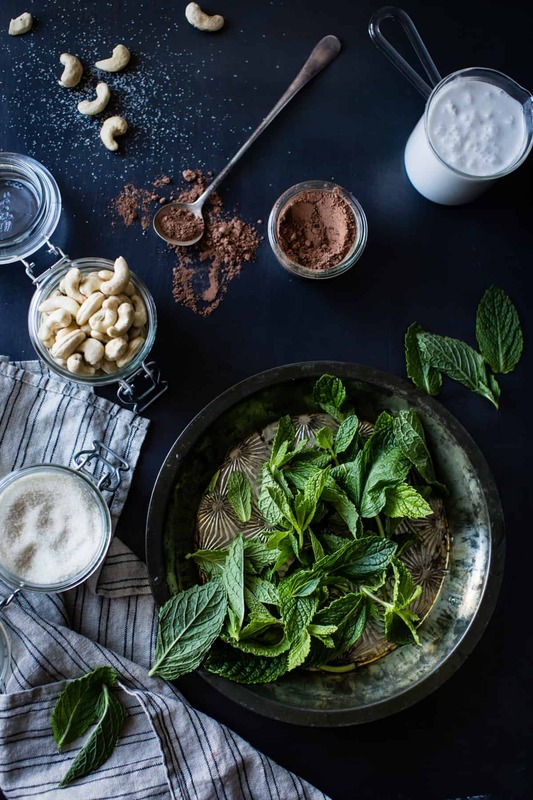 Chocolate and mint were meant for each other. It’s very much exciting AND scary! Thanks so much Cathleen – I couldn’t agree more re: chocolate and mint. The best! I’ll reward myself by making these popsicles. These are amazing – I cannot believe how good they look. I love these ice lolly moulds too – they’re just perfect. Congrats Alanna! I am so excited for you and the book! BTW I pre-ordered it and cannot wait to get the book in my hands! I know it will be gorgeous as is your writing, your recipes and your gorgeous pics! Three cheers to you! Hope you are having a mini celebration for a milestone completed! :) These popsicles look simply amazing and I would not mind a couple at all ;) Gather sounds wonderful, and hopefully I can make it there one of these days! Aw, thank you so much for preordering, Amisha – that means a lot. <3 I know you will LOVE Gather! Such yummy, innovative food. Congratulations, Alanna! This is HUGE news and you deserve a little time for yourself now that it’s done. And I’m sure once you hold that first copy in your hands, you’ll realize just how worth it all that work was. Can’t wait to get mine!!! 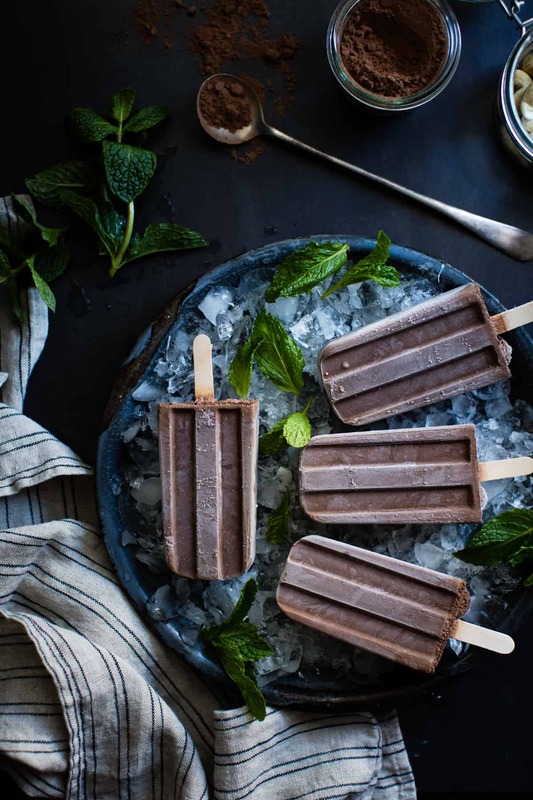 These cashew milk popsicles sound just delightful! I’m always blown away by what one can do with nut/nut milk. The perfect summer treat! These are beautiful! My boys would go crazy for a few of these. Yayyyyyyy, congratulations, girl!!! Can’t believe you did all that AND blogged regularly. It gives me hope that ENFPs DO get things done, and well, too. ;)) And I’m impressed time and again at how everything can be veganized these days. This looks legitimately like what you would buy at the store, but prettier, of course. Congrats on such a huge step!! These are the best way to celebrate! 1. 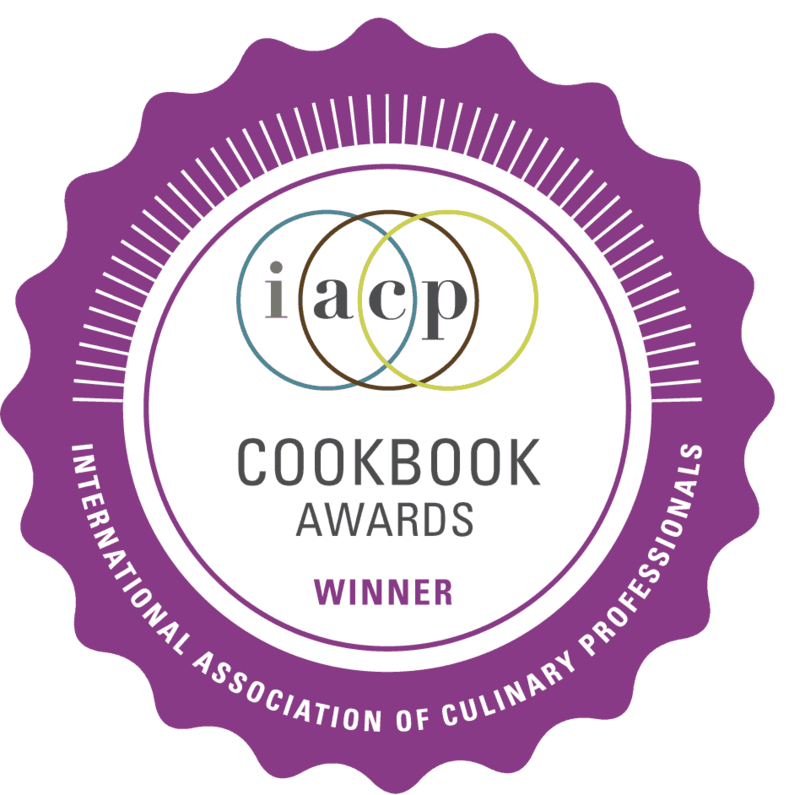 Congratulations on the cookbook progress!! Can’t wait to see the finished book. I’m sure it’ll be gorgeous. 2. I need these fudge pops in my life ASAP. Love that they are vegan too. Hi Alanna, I just made your pops and they are great. I didn’t add the fresh mint; instead I just added extra of the peppermint extract. I haven’t been a huge fan of fresh mint in desserts for some reason. Glad to know that works. Thanks for the note and for giving them a go! 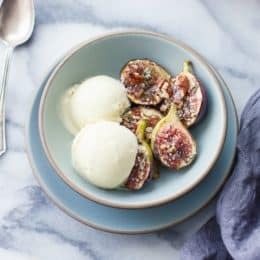 These look so delicious, simple and perfect for these hot summer temps coming out way! I am so so so stinkin’ proud of all the blood, sweat, and tears (literally) you’ve put into this book! I’m just SO EXCITED TO GET IT IN MY HANDS. Also – these pops are everything. I feel like the luckiest friend ever to have had my own stash. Oh, these look wonderful, and I’m so excited about your book! I do have a question though regarding the recipe – do you add all of the mint syrup? I would think you would for the sweetness, but it isn’t exactly clear in your recipe. Thank you!! Congratulations on your book! Ordering, now!